The phone turned off while my son was playing a game on my Lumia 920. I tried to charge it, but it did not charge—and it's not even showing Nokia Logo. It shows nothing—just like a dead phone. I tried both hard and soft resets, but nothing works. I thought it was the charging port because there was a small physical defect near the USB charging port (voiding the warranty). I ordered an OEM USB port charging connector flex cable. I changed the charging port. Now I see that it installed the driver on my PC when I connected through the USB cable. But it's still not charging, and it displays nothing when I try to charge it or power it on. What can cause this problem, and which part needs to be changed in order to work properly? Thanks. When you had it apart did you look to see if any of the connections where still connected? Maybe a connector to the screen has been loosened? Or perhaps the screen itself has gone bad. I would suggest to check all the connections inside the device. Thanks @JSmith, I tried to look for cables that can be loose. I only see Battery cable and microUSB Charger Flex Cable. I tightened both of them. Do I need to disassemble the phone further to look for more cables? Can the screen go bad by it self? Have you checked your battery with a multimeter? Have you replaced the battery yet at all? You said "physical defect near by USB charging port " where is near by? Post an image of the "area" with the defect with your question. 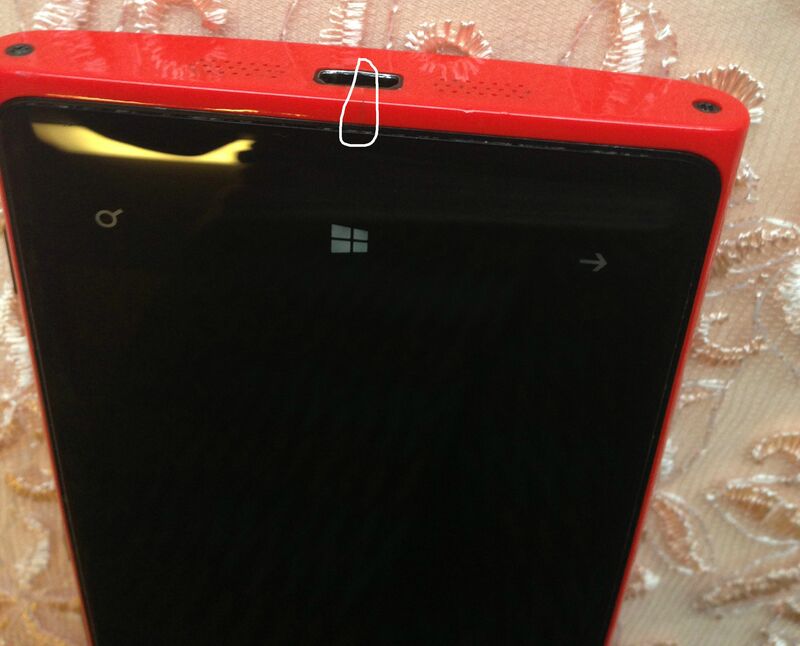 I had this situation before with my Lumia 920. Just press the volume down and power buttons for a few seconds to perform a soft reset. After the phone has started again, you have to set the date and time. I tried hard and soft reset. Its more than that. Thanks Sven Wilhelm. I reset my phone now its working. Volume down and power button for a few seconds to perform a soft reset worked for me. Try the reset first. Press and hold the vol down+power+camera buttons. Release the power button when the phone vibrates and release the remaining 2 buttons about 5 seconds after that. Not working at all. Is there anything else I can do? This is working perfectly, I already had decided to throw my L.Nokia and never buy the same kind in my life. Thanks Guys. as ive been trying to say the whole issue with my lumia 640 not xl after two days I left it in a window as it got to hot when I came back it said on the display overheated and needs to power off but it did not power off as it detected instead it stayed on until user input, after this it was all over for the battery, I then took another battery from same type of phone and all was well again as if it never happened, as ive said there is a sensor overheating detection device on most batteries today for smart phones. once they are triggered it seems inpossible to fix without buying new, as youtube will show how to bypass this sensor it will not work with lumia 640's the battery is sealed in a way that will destroy it trying to solve it, also the charge port is normal with that high raised center on the port its normal and Is for a tighter fitting charge wire,..
Just had the same problem. Solved it by taking toothpick and cleaned up thoroughly the USB/charger port. Nokia smartphones don't seem to want to charge when the battery is in a low charge state. Most people these days are using a USB charging lead via a laptop or the standard plug in the wall charger with USB take off. The original charger looks the same but it is a 2.0 amp output laptops are only 1.0 amp and most other phones charges are also. It means when you plug your lead in the phone switches on and the battery is in a low charge state the phone is using more power than the charger is supplying. Answer use original charger or any 2 amp charger till the charge gets past 20% then you can go back to a 1 amp. That Apple i phone as a 2.1 amp charger so if your mate or girl/boyfriend as one you can use theirs to get you to 20% then leave them. Or there is a car plugin charger on the market that as 2 USB outputs one is 1 amp and one is 2.1 for that other companies phone. Or you can buy on ebay a 2 amp wall charger with dual outputs for about a fiver. For that time when you forget to charge the phone. It works no reset soft or hard just 2.0 amps needed. i am tired this option not work for me i have lumia 720 and i am trying many time for volume down + Power button but its not working my phone now showing black screen link dead mobile please help me what I do know? There was some experience with snow 920, it is impossible to run an attempt to fire, but it does not succeed, only the NOKIA logo appears but it does not work. on its own my Windows 640 XL wont switch on. only when i have connected the phone to my laptop does it come alive.have also tried to use a different laptop but with no solution.there is an app on my laptop called Windows phone app for desktop .i suspect it enabling the start up. need a solution for the phone to be self starting.